Paul’s ECO E- Bike Tours endeavour to provide the utmost safety on all his tours. The Tour Operator is committed to providing a safe environment for participants taking advantage of the connected Cycle Way and Duel Footpath System with limited use of the roads. Participants will be provided with a quality tour, free from danger by observing the Western Australian Road Rules as it applies to all road users. The Tour Operator and Participants will be required to use the Road system where Cycle Paths are not connected therefore road crossings will be necessary at all major intersections. Road Rules will need to be observed on all roads and intersection crossings. Paul’s ECO Bike Tours offers four tour routes with an average distance of about 40km. All tours offer an interpretation of the Geological formations of the Swan Coastal Plain and an insight into the many varieties of Plants and Animals. 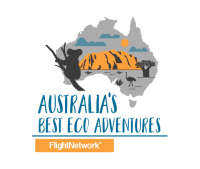 Paul's ECO E- BIKE TOURS describe the Aboriginal Culture of the Noongar Peoples uses of Natural Resources. All Tours have plenty of opportunities to stop for some refreshments. Also, there are some great beaches to check out on our Coastal Strip, so swimming or snorkelling is an option for those really hot days. All swimming is however restricted to Royal Life Saving Patrolled beaches and undertaken at your own risk. Due to the Australian Weather conditions the Tour Operator is committed to provide a safe environment for all the participants. The company policy is NO TOURS where the predicted Day Temperature is over 450 C.
The optimum time for Bike riding is in the morning, therefore for your health and safety we prefer to ride during to coolest part of the day. Our Summer Start Time is from 08:00 to 10:00. Participants that wish to start latter than 10:00 need to make these arrangements with the Tour Operator 24 hours prior to their booked date. Depending on the Temperature those tours may be shortened in distance and time, discount applies. On top of our roof we have a Solar Energy System and as a back up we have a Battery Recharge System (an Off the Grid Solar Power Station). Our aim is to be Carbon Free, using sustainable energy to get us where we want to go, with Caravan and Camping technology in Solar Panel and Battery storage to recharge. So whether the sun shines or not it's Carbon free. Catch the Train or Bus to Joondalup Train Station, hop on the 464 Bus and get off at stop # 17932, before Littorina Ave. I’ll be there to collect you. Collection from Edgewater Station by Arrangement. You will need to wear closed in shoes or sandals and dressed appropriate to the weather conditions on the day. You should carry a light jumper if it’s overcast or windy. Bring a towel if you like along with your sun screen and WATER BOTTLE. From 1975 to 1980 Paul worked as an Assistant Greenkeeper at Yokine Bowling Club and Australia Post as a Telegram Boy (bicycle delivery Mt Lawley PO and Doubleview PO), in 1980 Paul joined the Army. Paul served with the Australian Army for six years as an Infantry Soldier 1st Battalion Royal Australian Regiment (1RAR) specializing as an Assault Pioneer. After leaving the Army Paul went back to one of the first jobs he had when he left school, Turf Management. Paul achieved his Trade Certificate in Turf Management, in 1992 and was Head Greenkeeper at Wembley Bowling Club from 1993 to 1996. From 1996 to 1998 Paul studied at Edith Cowan University for a Bachelor of Science in Environmental Management, completing the Degree in 1998. After finishing University Paul took up casual positions in a number of organizations, one was Environmental Encounters, doing adventure recreation activities which involved walking trips, canoeing trips and some adventure mountain bike riding. He also working with CALM Conservation And Land Management at the Yanchep National Park as a tour guide, conducting tours involving the interpretations of the Aboriginal (Noongar People) culture at the Mia Mia village. Paul then worked full time in both the State and Commonwealth Government, Department of Environmental Protection for 2 years in the Waste Management Branch and Commonwealth Department of Environment as an Indigenous Land Management Facilitator with the Natural Heritage Trust program. Paul stayed in that position for about 14 years (2000 - 2014). Working with, helping and assisting community group’s access funding to the Federal Governments Land Management Programs. Through his work experience Paul has developed a unique set of skills in the area of Conservation and Land Management. Paul feel’s he is lucky enough to be able to transfer that knowledge into his business and to pass on points of interest about the formation and the conservation of the Swan Coastal Plain. Paul is also able to give an interpretation of those parts of the Aboriginal culture that most people do not get to see, and that includes the cultural aspects of a particular place, some of their land management practices and the uses of natural resources. So Paul hopes you’ll take the opportunity to come on his tour, enjoy the freedom of what the bikes have to offer and have an opportunity to learn some interesting facts about our beautiful coastal environment and how important it is to maintain its integrity and ecological functions.